In the past year, there have been ongoing concerns that sanitizers commonly used to reduce pathogens on poultry carcasses can lead to false-negative test results for Salmonella. Salmonella are bacteria that can make people sick with an infection called salmonellosis. The Center for Disease Control and Prevention (CDC) estimates that Salmonella causes approximately 1.2 million illnesses and 450 deaths in the United States every year. 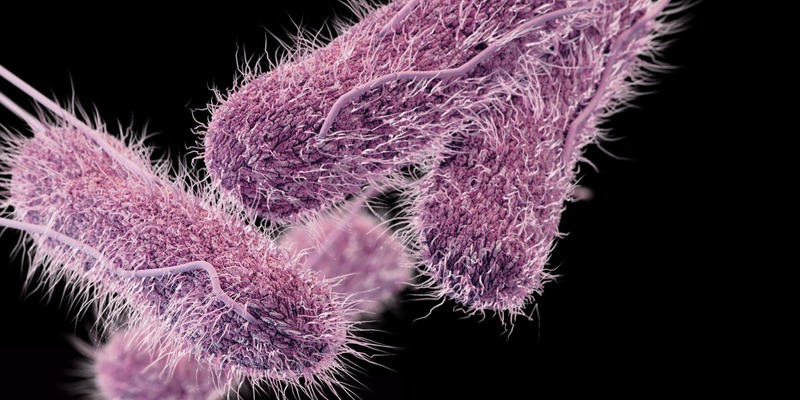 Salmonella infection is most common in June, July, and August. Major Salmonella outbreaks in 2016 included dairy, shell eggs, alfalfa sprouts, live poultry, pistachios, and organic shake & meal products. Anyone can become infected with Salmonella. Higher risk groups for severe salmonellosis may include children under the age of five, adults over 65, and people with weakened immune systems, such as patients with HIV, diabetes, or people who are undergoing cancer treatment. Complications of the illness are dependent on the individual, with the symptoms typically lasting four to seven days (most will recover without antibiotic treatment). Other symptoms that can develop in 12 to 72 hours are fever (almost always present), or abdominal cramps. In some cases, diarrhea may become so severe that the person will need to be hospitalized. In rare cases, the infection could spread from the intestines to the bloodstream, then travel to other parts of the body. In these cases, Salmonella can cause death unless the person is treated promptly with antibiotics. Doctors most commonly prescribe trimethoprim/sulfamethoxazole, ampicillin, or amoxicillin, in situations where antibiotics are needed. Ceftriaxone, cefotaxime, or flouroquinolones are effective options for antimicrobial- resistant strains, although fluoroquinolones are not approved for persons less than 18 years of age. How do I know if I’m part of an outbreak? carcasses and can contaminate testing samples leading to false negative test results for Salmonella in the lab. The Agricultural Research Service (ARS), which is part of the U.S. Department of Agriculture, at the request of the FSIS, developed a new neutralizing buffered peptone water (nBPW) solution, replacing the current BPW, to further reduce the effect of potential carryover of sanitizers on poultry verification samples (chicken carcass rinse, poultry parts rinse and young turkey swabs). ARS researchers found that sanitizers used on poultry carcasses to reduce pathogens might also cause false-negative results in tests for Salmonella when using the standard buffered peptone water. 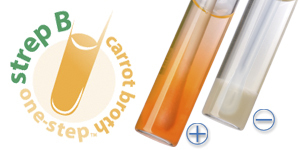 FSIS believes the new solution will eliminate any problem of sanitizer in its Salmonella tests. Neutralizing buffered peptone water incorporates neutralizing agents to reduce the effect of potential carryover of sanitizers. In the nick of time, an effective alternative for buffered peptone water has been developed by Hardy Diagnostics. 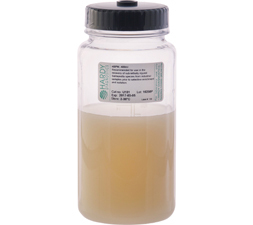 Hardy’s nBPW contains peptones that act as nitrogenous compounds to promote bacterial growth. Phosphate salts in the buffer help to maintain pH. Maintenance of pH is important when attempting to recover sublethally injured cells because a low pH can be detrimental to the repair and growth of damaged microorganisms. In addition, nBPW contains neutralizing agents to reduce the inhibitory effects of carryover from microbial interventions. nBPW is the right choice every time. For information and to request a sample of nBPW, view our landing page. “Reports of Selected Salmonella Outbreak Investigations.” Centers for Disease Control and Prevention. Centers for Disease Control and Prevention, 28 Nov. 2016. Web. 15 Feb. 2017. https://www.cdc.gov/salmonella/outbreaks.html. “Treatment for Salmonella Infection.” Treatment for Salmonella Infection | About Salmonella. Marler Clark, n.d. Web. 15 Feb. 2017. http://www.about-salmonella.com/salmonella_treatment. Antimicrobial chemicals used as processing aids may lead to false-negative results in pathogen testing, according to a study. “Poultry Carcass Treatment Can Cause False-Negatives in Salmonella Testing: USDA Institutes.” Food Safety Magazine. Food Safety Magazine, 1 July 2016. Web. 15 Feb. 2017. This entry was posted in Looking to the Past. Bookmark the permalink.